HAPPY NEW YEAR MAKE IT COUNT. Sure, Mike Olson’s story is about ishing and outdoor television. It is also about inding a way to live your best life. Animals—especially dogs—are truly Jessie Thorson’s best friends. The commercial artist is now recognized for her impressive painting portfolio of pets and animals. 48 ADDICTED TO THE RIDE Shining wheel spokes, custom leather seats and big-time horsepower are on display at Russ Shimek’s motorcycle heaven. 18 IT STARTED WITH THE BEANS Sandi Luck and her Bully Brew crew have built a growing coffee empire by focusing on what they do best. 30 FINER DETAILS Behind the scenes of Sky’s, the region’s leading ine-dining establishment. 60 SECURING PEACE OF MIND Learn how three Grand Forks security and camera providers are bringing cuttingedge tech to the region. 56 ADVANCED PROCEDURES AT HOME The North Dakota Surgery Center in Grand Forks has brought a national trend in healthcare to this small market. Thank the team of Grand Forks doctors for the unique new facility. Is This A Dream? This year is going to be different, it’s going to be better, maybe even the best. If you are like the rest of us, you’ve thought those thoughts about 2019. The GRAND team is here to help make those thoughts become reality. Without knowing it at the time, we produced eight stories on eight vastly different topics (all within our core themes of home and design, shop and style, health and wellness, eat and drink, art and culture and the outdoors) for the irst issue of the year that inform on their respective topic, but also inspire about simply living life better. Woven through every story was a thread showing the ful illment we can get when we do what we need to do to live our respective dream. For Mike Olson, it meant scouring through hours of ishing footage and teaching himself to produce a quality television show in a hard-sided ish house parked in his yard. For Anne Zimmer, it meant trusting her abilities to bring out the best in people by opening and maintaining a hair and style salon. For Jessie Thorson, living her dream life meant quitting her job to paint dogs and cats. Seriously, she quit her job to paint animals. As you’ll read in each story, it’s not easy to let go of the security of today for the promise of a reality you believe might be possible in the future. But, as the stories also show, the results can be pretty amazing. If you’ve eaten the voodoo pasta on a quiet night from a booth in Sky’s, you know what amazing tastes and smells are. Luke Geiver We feel like we are living the dream in our GRAND efforts. Taste testing ine dishes with a head chef, going behind the scenes of a irst-rate operation or meeting subject matter experts is always a great experience. This year, we’ll be doing more of that. Expect more issues and more content from our team in 2019. We think you’ll agree, it’s a dream scenario. Select back issues are available for $3.95 each, plus shipping. Article reprints are also available for a fee. 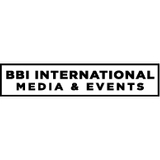 For more information, contact us at 866-746-8385 or service@bbiinternational.com. 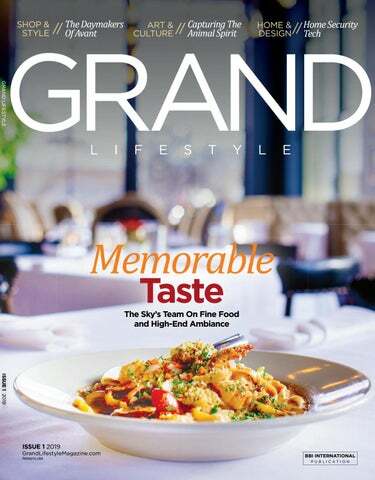 GRAND Lifestyle magazine provides a specific topic delivered to a highly targeted audience. We are committed to editorial excellence and high-quality print production. To find out more about GRAND Lifestyle magazine advertising opportunities, please contact us at 866-746-8385 or service@bbiinternational.com. LETTERS TO THE EDITOR We welcome letters to the editor. If you write us, please include your name, address and phone number. Letters may be edited for clarity and/or space. Send to GRAND Lifestyle magazine/Letters, 308 Second Ave. N., Suite 304, Grand Forks, ND 58203 or email to lgeiver@bbiinternational.com. PATRICK C. MILLER PHOTOGRAPHY When he’s not producing professional feature stories for GRAND and our other publications, Miller can also produce great photos. For Bully Brew, he was dedicated, and shot images of every Bully Brew location all at different times of the day. January 17, 2019 5 - 7 p.m.
Before he became famous on the outdoor television scene, Mike Olson spent many hours sitting in a hard-sided ish house parked in his yard editing ishing trip footage of himself and his friends. That was roughly ten years ago, when the Thompson, North Dakota-native wasn’t the host of a national ishing show or the successful professional angler that has competed (and nearly won) the Super Bowl of professional walleye ishing. Today, Olson has a video production company, a team of 15 that help him create some of the most unique and timely ishing excursions available (all caught on ilm of course) and the type of personal story that reminds all of us—from the master angler to those who’ve never baited a hook—that the thoughts and aspirations we have to live with joy and freedom and passion are all possible. Mike Olson did it, and he’s still doing it. A kid that grew up cat ishing on the Wild Rice River in a town in a Minnesota County that only has one dinky lake, is getting paid to go on adventurous ishing trips where the best footage they are after comes from the times he or his counterparts are laughing and smiling the most. It’s not easy, Olson would say, but it’s worth it because he is doing what we are all in search of in our own ways and means. Mike Olson is living his dream. To produce a show, Olson and his team plan to be onsite for a minimum of three days. Sometimes they capture their footage in ﬁve hours on the ﬁrst day, and sometimes it takes every hour during ﬁve straight days. “We have a plan in place when we get there. Sometimes we go with guides we know. Other times we ﬁnd our own bit. Those are the most rewarding shows.” Earlier this year, Olson and crew hit a hot bite on a Canadian lake. The bay they were ﬁshing through early ice hadn’t been ﬁshed in years, he says. Life As A Famous Face The face recognition is hard to get used to, Olson says. Gone are the days of walking a ishing expo as a spectator. Now, Olson is the main draw. “Having that recognition is foreign to me. I’ll never get used to that.” Olson is married with kids and dogs and a mortgage, but because his wife has been supportive of his dream quest, he says it has all been possible (he couldn’t stress enough how important his wife has been to his success). He is gone 150-plus days a year ishing for footage or tournament winnings. In addition to hosting and producing his show, he also competes on the Professional Walleye Tour, the top circuit for walleye isherman. Despite the success he has had in ishing, Olson still holds another job as well. In the summers, he operates a landscaping company that he and his brother started to—no surprise—give them time to ish and hunt in the winter. At his current pace and rise in the industry, he will most likely start ilming and ishing full-time. CONTACT KING'S WALK FOR DETAILS. Just as some people have a home away from home, coffeehouses have become the of ice away from the of ice, the study spot away from school and a place for meetings away from the conference room. After nearly 14 years in the coffee business, Sandi Luck—the founder and owner of four Bully Brew Coffee Houses in Grand Forks, East Grand Forks and Fargo—knows the trends and the territory. Her slogan is a cheery, “Stay caffeinated!” Her establishments cater to the coffeehouse crowd of work-from-anywhere types to college students seeking a friendly, relaxed atmosphere in which to study, brainstorm and socialize. At Bully Brew, they can enjoy sandwiches, soups and baked goods while staying caffeinated. “Something very common with millennials and young professionals is that a lot of them are saying, ‘I want good coffee; I know the difference,’” Luck notes. To satisfy them, Bully Brew receives several 150-pound bags of green coffee beans each week from an importer in Minneapolis. The beans come from Costa Rica, Columbia, Ethiopia, Kenya and other countries. Bully Brew On The Grow Although the mall location lasted just a few years, Luck was presented with new opportunities to grow. She bought a coffeehouse in Fargo and opened it as a Bully Brew—today managed by Kassie Senstrom. Next was the purchase of the Dunn Bros. coffeehouse at 4571 South Washington Street, now a Bully Brew managed by Becca Nelson. That was followed by the purchase of the Coffee Corner in East Grand Forks at 321 Demers Avenue East. This Bully Brew location is managed by Jordyn Weber. And there’s a Bully Brew kiosk in the Alerus Center run by Courtney Walters. Owning the Bully Brew Coffee Co. roastery location—managed by Kendra Rhonemus—has created wholesale businessto-business opportunities for Luck to roast coffee beans and sell them to other establishments in the area. “My goal is 10 stores and a roastery,” she relates. “I love the sales aspect of the roastery— working with other coffeehouses and small businesses that need coffee.” With 40 total employees, Luck continues to recruit and add members to Bully Brew’s team that include Kelly Winters, general manager of all stores; Rihanna Davidson, marketing and sales director; Jessica Stroh, of ice manager; and Hannah Tinkler, Bully Brew baker. “I think what’s cool about our story is that it’s a bunch of young women—young, strong leaders—who have worked hard together and connected as a team,” Luck says. “I see this group of young ladies who feel empowered to continue to grow. They encourage me every day and I learn from them all the time.” Staying ahead of the coffee curve is a never-ending challenge. “I take our leadership team to a coffee conference every year,” Luck explains. “We’ve gone to New York and Chicago. Last summer it was Denver. We work with other roasters to see if there’s anything we can do differently to make our coffee better.” Even when Luck is on vacation, she’s trying the coffee at coffeehouses around the country. In Washington, D.C., she happened upon a coffee she enjoyed so much that she tracked down the roaster to ind out where the beans came from. Now Bully Brew’s menu features the light roast coffee made with beans imported from Papua New Guinea. “The fun part is that we can create new things and see the development of two beans from two different countries or two different regions put together and have this incredible taste,” Luck says. Keeping up with new technological and marketing developments is also part of the coffee business. This ranges from using the web and social media to promote the Bully Brew band to adding a machine that produces individual K-cups made in small batches from freshly roasted beans for Keurig-style coffee brewers. This past summer, a new computerized roaster was installed at the Coffee Co. location. Luck touts Bully Brew’s cold brew made from steeping beans for a day in ive-gallon batches. Usually served over ice, she says cold brew gives a smooth taste that’s not bitter or acidic. “We experimented for a long time to ind the perfect formula, the right bean and how long to steep it.” Another recent product addition came from a collaboration with Half Brothers Brewing Co. in downtown Grand Forks, which now offers Bully Brew Coffee Brown Ale. FIND YOUR PATH TO FINANCIAL CONFIDENCE. Of all the titles Anne Zimmer holds, she prefers daymaker. For nearly two decades, Zimmer has been leading a talented and well-educated group of hair stylists and make-up artists that also consider themselves to be daymakers. As Zimmer and her team explain, they are in the business of making their client’s day. They do it by creating a beautiful and positively strong image that can be felt for the rest of their day (and usually much longer) post salon visit. The idea behind the title may come off as simple or unauthentic, but consider the demand for an Avant style session (most require scheduling a month-out to get in for the full cut and color treatment) or listen to the endless array of stories by Anne or her team about the times they’ve changed the direction of a client’s life by doing their magic with a set of shears or product during a sit-down styling session. Think about it, isn’t the best part about a great cut not just how you look afterwards, but also how you feel? When Zimmer started Avant, she had both the client and the stylist in mind. A successful business operations manager that still manages a dentist of ice in town, Zimmer has always been a team-building and business prodigy that understands how to bring out the best in people and a situation for the betterment of all involved. TRENDS, AS TOLD BY THE AVANT TEAM Going into 2019 we are going to see a softer side of hair. Anyone who has a hard time achieving and maintaining that beautiful icy blonde that was all the rage of 2018, rejoice! Things are starting to warm up. The blondes are going to be softer and warmer! Dark blonde is also a color that is going to be trending on both naturally lighter and darker heads. Browns are going to be seeing the best of both worlds, a lot of chestnut color and ashy brown. As far as cuts, we will also be seeing a softer side. Longer hair will have a softer look with a lot of interior movement. The bob will always be timeless and trend every season of every year. This year the bob will be both blunt and rounded. Even subtle little changes will freshen your look for 2019. Ladies bangs are back! Both blunt, baby, and curtain bangs. So if you aren’t ready for a major change just yet, come see us to just give you a little tweak to start your new year off! We are seated in circle back lounge chairs next to the massive wine storage library, waiting for the head chef to join us. It is a Friday afternoon, about four hours before Sky’s opens for the night. The bank of windows that lines the Demers Avenue side of the ine dining restaurant and lounge is at our backs, shining the type, and volume, of soft light into the place that any interior photographer would dream of. Richie West, the award-winning drink mixologist and lounge manager that started washing dishes at Sky’s when it was at a different location and known as Sanders 1907, is there. Pat Madigan, the general manager that returned to the city after stints in major ine-dining establishments in Washington D.C., (and also an employee of the Sanders’ days), is there. Eventually, Joe Hanson, the head chef that trained under Kim Holmes, the founder and head chef in the Sander’s years, exits his kitchen and daily routine to join us. Hanson is happy to sit with us, but it’s clear from his continual glances back towards the kitchen, part of his attention is still simmering elsewhere. Sky’s is ﬁne dining with a casual atmosphere. You don’t have to dress up, but you can if it feels right. I’ve seen patrons in tuxedos and overalls on the same night." When we start talking about food, and table design and kitchen layout and the many reasons why Sky’s has become the premier place for ine dining in the region, however, his internal draw back to his kitchen wanes. Soon, Hanson and West and Madigan are all smiling and laughing and expounding on their run at Sanders and their current chapter as the daily leaders of Sky’s. West and Madigan each make comments about Sky’s that help pinpoint why the restaurant works in this city “Sky’s is ine dining with a casual atmosphere,” West says. “You don’t have to dress up but you can if it feels right. I’ve seen patrons in tuxedos and overalls on the same night.” Despite the fact that Sky’s serves the type of food and offers the type of setting that would excel on any major market ine dining circuit, Madigan explains that the Grand Forks eatery should be thought of as a neighborhood place with high-end food. “You get that full level of service and attention to detail here (that other ine dining establishments offer), but you don’t feel intimidated,” Madigan says. Award-winning Mixology As the Lounge Manager for Cloud9 Lounge, West has amassed an impressive list of spirits. Throughout the region, he has competed in spirit-making competitions. His ability to combine locally-distilled spirts with unique ďŹ&#x201A;avors found in non-traditional spirit ingredients helped him win a competition in Grand Forks with the Dino Gin Fizz. Understand The Ambience Sky’s can host nearly 120 people in its main dining room. Cloud9 Lounge can seat another 40 to 50 people and the private dining rooms spread across two separate rooms can host another 50 people. Because of the shape and distance of the dining areas from the kitchen, Madigan and Hanson have created a system of serving stations that allow them to ensure food is brought (and stays) hot to the tables. The placement of every table leg, napkin, light ﬁxture or art piece has been strategic. Designed by a team of interior designers situated on the ﬂoor above the restaurant, the setting appears like a ﬂawless setting for a magazine shoot, or as Madigan says, an escape from the norm of the city. Every sight angle has an intended, cared for and impressive look. The lounge features grain-exposed tables with pipe-style legs. The curved, poured concrete bar is smooth while still emphasizing the strong longevity of the place. Wide plank ﬂooring was installed in a herringbone pattern. Black subway tiles line the sight wall of the kitchen. There is a ceiling height wine library that is backlit and beautiful even if you’ve never had a glass of wine. The circle back chairs, leather patterns and amber lightbulbs are all a part of the overall ambience. SPIRIT Jessie Thorson has tapped into her animal spirit with the help of a paint brush. The Grand Forks artist has built a regional following painting dogs, cats, bears and birds. She’s painted pigs and ish and moose, too. If you are a pet lover, or an art lover, with a sense of humor and appreciate any combination of mesmerizing brush strokes, bold and unique color patterns or the type of art that makes you smile in the moment while you remember the past, you’ve most likely already seen or own a Thorson piece. If you are new to Thorson’s work, you can ind it in several places throughout the region. Her work is displayed at ine-dining restaurants, major institutions, and the homes of art lovers with budgets that range from little to a lot. In 2018, she was a featured artist picked by the city to display a collection she called “Ode to Grand Forks.” She creates the type of work you want to gift to a friend or family member, but once you’ve given the gift away, you regret that you didn’t keep it for yourself. Her paintings are named to re lect the mood and tone of the images she creates which typically include some kind of animal. Her titles infuse a bit of literalness with a lot of playfulness. The style she’s developed seems to match perfectly with her approach to painting, or life, two subjects she shares the same motto with. “I trust my gut,” she says of her painting style and life motto. You can see it in her brush strokes and compositions. There is a comforting con idence in her work that shows up through the thickness and amount of paint that is left to dry as part of the inal image. Her paintings aren’t meant to be 100 percent accurate or dance anywhere near photorealism. Yet, they most clearly re lect the best qualities and attributes of the original image in a way that will always make the onlooker smile and quickly laugh before offering a verbal, “that’s cool,” response to an unforgettable image. (How does anyone forget a painting Thorson has done showing a moose and a bear riding a bicycle together?) Her painting titled, “Rocky Bearboa,” shows a brown bear wearing boxing gloves. In her piece, “Going Stag,” she shows a massive brown stag dressed to the nines in a fancy bow-tie and sport coat. On a large 72-inch tall door, she painted a huge walleye and titled the piece, “A Tall Tale.” “I try to add humor to my art. If people are laughing at my art or looking with a smile I feel like I’ve done my job,” she says. A graphic designer and director of marketing when she isn’t painting, Thorson painted her irst public display piece for former employer, Suite 49, a restaurant once operating near the Ralph Engelstad Arena. The walls needed art, she says, so she created a painting of a dog with sunglasses and a different painting of a dog as a hockey goalie. “I just did what I thought would it the space and this place.” Those early paintings caught the eye of several from the community, and eventually, another boss, Sally Opp of Opp Construction, convinced her that painting was her path. Leaving a steady-paying job to become a full-time artist was scary, she says, but she had her life motto to trust. Today, she has sold more than 100 paintings and sees no end to her opportunity. her kitchen. (When we were there a Hallmark movie was playing). All three of her dogs are used to lounging at, or near her feet as she works. As an acrylic lover, her paint pallet can be left out alongside the pile of brushes she’s accumulated and set on her supply table next to her easel. If a painting is too big for one easel, she adds a second to support her canvas. If that isn’t big enough, she paints out of her garage. At one time, she stretched her own canvas, but those days are gone. the shop ﬂoor. On the second ﬂoor, Shimek has turned 5,000 square feet into bike storage. A freight elevator allows him to store bikes in a climate controlled and secured setting. Cold weather is hardest on bike wiring, he says. The type, style and age of bikes lined up in the storage unit is Sturgis-esque. Squint your eyes just right and pretend you are walking down the street during the bike rally and it feels like you are there (minus the shenanigans that come with Sturgis). Crosstrek. Well-equipped at $21,759. ** KRA-01 Subaru and Crosstrek are registered trademarks. *2017–2018 model-year vehicle’s projected cost to own for the initial five-year ownership period is based on the average Kelley Blue Book 5-Year Cost to Own data, which considers depreciation and costs such as fuel and insurance. For more information, visit www.kbb.com. Kelley Blue Book is a registered trademark of Kelley Blue Book Co., Inc. Actual mileage may vary. 9EPA-estimated highway fuel economy for 2019 Subaru Crosstrek CVT models. Actual mileage may vary. **MSRP excludes destination and delivery charges, tax, title, and registration fees. Retailer sets actual price. Certain equipment may be required in specific states, which can modify your MSRP. See your retailer for details. 2019 Subaru Crosstrek 2.0i Limited shown has an MSRP of $28,390. Vehicle shown with available accessories. Chris Walsh, security manager for Stone’s Security Systems, understands what it’s like to be the victim of a burglary. He recalls his father—a big, burly Vietnam veteran—telling him about the time his home was broken into. “He said it was the most helpless feeling that he’d ever had,” Walsh says. “It certainly attacks that peace of mind you thought you had.” As part of his job selling home security systems, Walsh tracks theft reports using public data from the Grand Forks Police Department. He holds up a Google map of the city showing the location of thefts over a two-week period in the fall. It looks like the city has chicken pox. “It’s quite a bit more than people think,” he notes. Although Grand Forks enjoys a low crime rate, there are a number of businesses in town that specialize in providing home security systems that not only protect property from thefts, break-ins and burglaries, but also detect and warn of ire, smoke, water and carbon monoxide. the homeowner desires, according to Nick Bennewitz, design and install engineer. “The new hot thing is the doorbell cameras so you can see who’s ringing your doorbell and protect from package theft,” he says. “It sets off your motion sensor and you’ll get a noti ication.” HB will work with homeowners to customize a security system that its their needs and budget. “We really focus on quality, too, such as the quality of the cameras and the equipment,” Bennewitz says. “We don’t take a lot of shortcuts when it comes to that.” The company has a 24/7 emergency number and offer a $20 a month monitoring fee and a $10 a month fee for access to its security app. “A lot of people get a security system as a reactive thing instead of as a proactive deterrent,” Bennewitz notes. Our Aveda and Avant Academy trained team of professionals can help you get “that look” and “the feel”, all in an "atmosphere" of Calming Energy you will only ﬁnd at Avant. We are a TEAM of Master Stylists, Estheticians, Massage Therapists, HDi Brow Artists, Make Up Artists, and Waxing Specialists. Book your appointment today! If you are looking to ﬁnance a new home, Robin Carriere is ready to help you out. She is enthusiastic in helping clients secure the best ﬁnancing possible. She is a longtime resident of Grand Forks and enjoys helping people ﬁnd the right home right here in the Red River Valley. Alerus is an Equal Housing Lender. Far North Spirits invites you to visit our award-winning farm distillery and enjoy craft cocktails in our Scandinavian-inspired tasting room Saturdays from 5-9 p.m. Our single estate spirits are farmed, distilled, shaken and stirred in Hallock, Minnesota. Visit us online for directions and locations where our spirits are sold. Jessica Rice, Crary Real Estate Buying and selling your home can be very emotional. I am here to simplify the process and make everything easy on you. Whether you are buying your ﬁrst home, building your dream home or downsizing into the perfect town home, I am here to assist you! At Budget Blinds, our goal is to provide you with the best products and services in order to enrich your home environment. We offer FREE In-Home Consultations, Professional Measure and Installation, and the Best Warranty in the Industry. Call us today to schedule your Free In-Home Consultation. Style and Service for Every Budget. Full service custom boutique photography studio specializing in newborn, baby, child, family and senior portraiture. Sadie's Couture Floral & Event Styling From weddings to corporate events, Sadie’s Couture Floral & Event Styling brings your ideas to life with a personalized touch. However simple or elaborate, we are here to make your event memorable. We are passionate about our work and strive to create beauty in every event we touch. Rhapsody Spa & Salon offers a variety of services including massage, facials, body waxing, haircuts, colors, scalp treatments and much more! We like to protect the integrity of the hair, skin and nails. We use products of the highest quality: Goldwell for hair, Repechage for skin, Youngblood for makeup, Young Living oils for massage, and our exclusive haircare line from Paris, Phytodess! Welcome to the Family Half Brothers Brewery is a familyfriendly brewery featuring the ﬁnest craft beer, delicious food, and local live music every night. Working with local artists and professionals, we’ve built something special that goes beyond quality beer and great food. Come in for a pint and a bite and see for yourself. At Plains Chiropractic & Acupuncture we see you as an individual with a unique set of needs, and we view chiropractic care as a system of health care that can help you reach improved levels of wellbeing. Allow our combination of experience, evidence-based care, and collaborative mindset help you reach your health goals. Thermography & Health Solutions, located within the Holistic Hub, provides a variety of services for your health care goals. We offer a holistic approach to assist your body as a whole to achieve a healthy, balanced lifestyle. Our personalized plans offer several options for achieving desired wellness. Visit our website to see all of the therapies we offer. Innovative Basement Systems specializes in basement waterprooﬁng, boathouse structural repair, concrete leveling, lifting & repair, crawl space encapsulation & repair, egress windows, foundation repair, mold, radon gas & mitigation, shoreline restoration, sump pumps, and many other services. Get Your Free 1-on-1 Consultation It’s not one thing, one change or one choice - it’s many of these things consistently happening over time that result in success. Proﬁle is here to help you embark on a journey to your best life and now is a great time to get started!